Kakashi is known for his ability and smarts, he is capable of copying as well as fighting back when required. This image shows exactly what he can do as he’s able to traverse any environment and defeat anyone he goes up against. 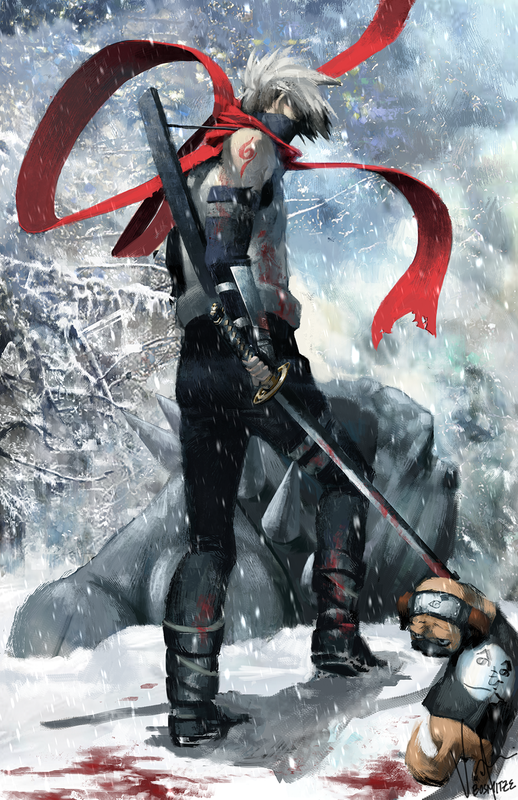 Whilst within the ANBU, he becomes one with the mission and get things done. This fantastic image of Kakashi was done by Bosmitze who has a number of amazing detailed fan art based on lots of different anime such as Dragon Ball and Naruto. If you like what you see, be sure to check them out, otherwise be sure to go ahead and share this page with other fans of Naruto and Kakashi.